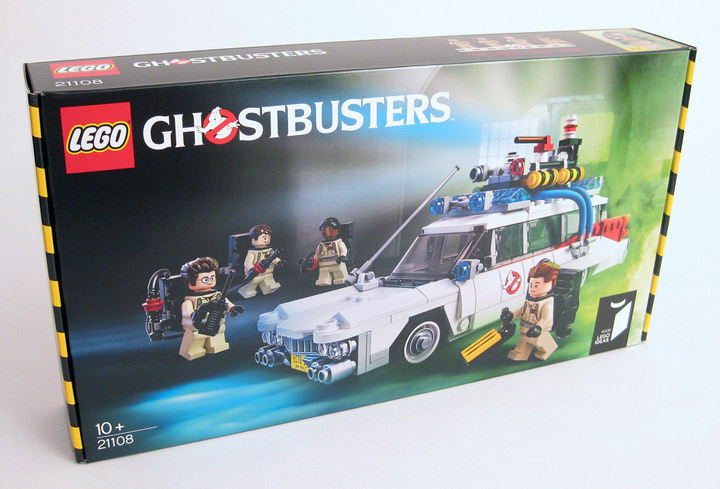 DrDaveWatford has posted one of the first reviews of the new Lego CUUSOO (Lego Ideas) set over at Brickset. 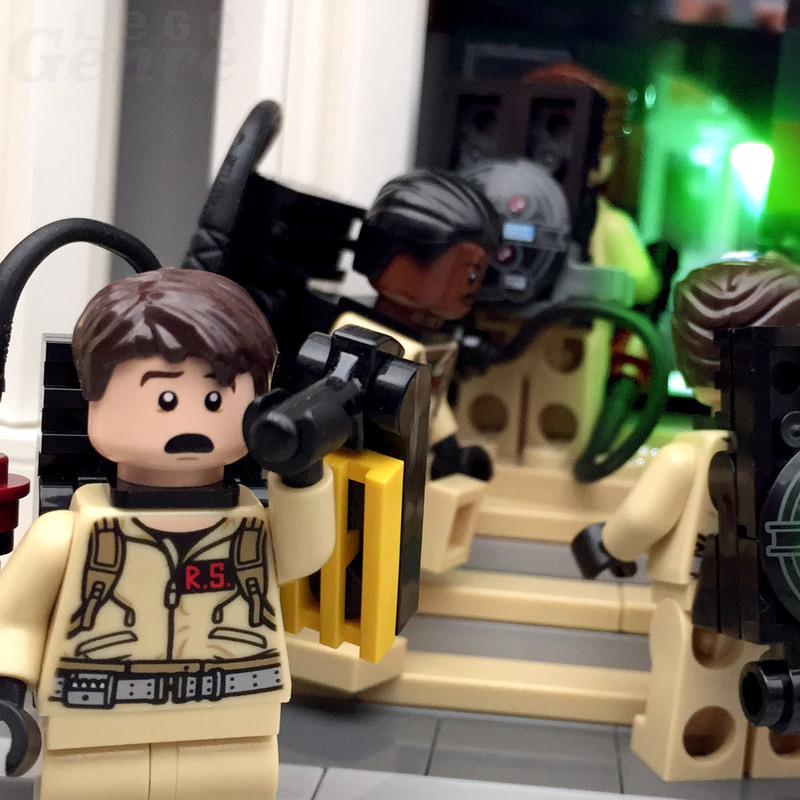 The Lego Ghostbusters review (21108) features a detailed look at the packaging, Ecto-1 vehicle, and Minifigures. The set will be released in June with a $49.99 price tag. 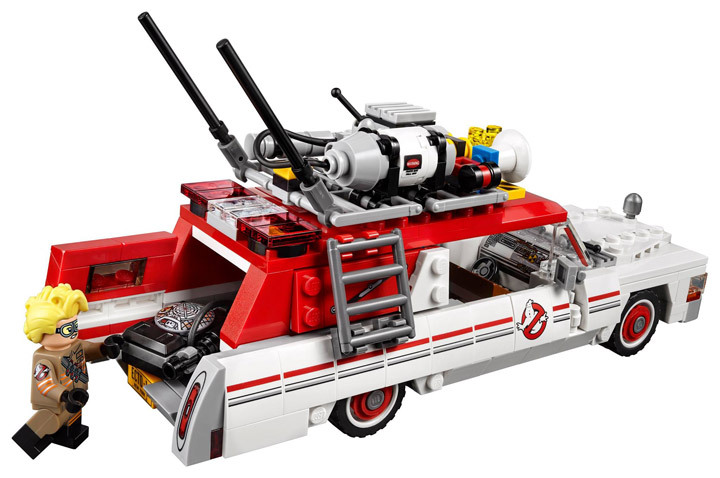 Based on the part list in the instruction booklet it looks like Lego Ghostbusters will come with an estimated 481 pieces. 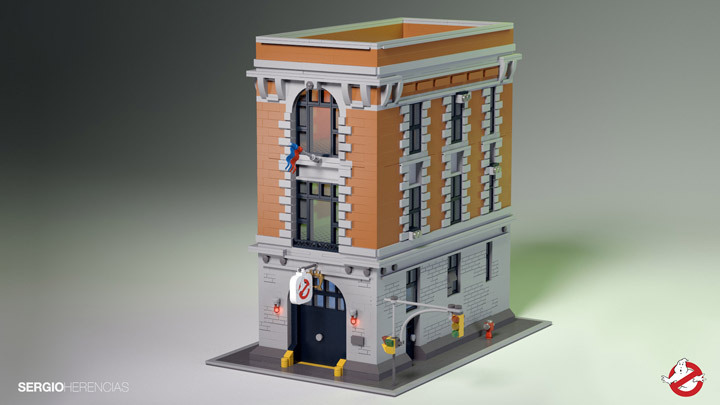 It should be noted that this Lego Ghostbusters set is a little bit smaller then the original proposal, but the end result still looks great. 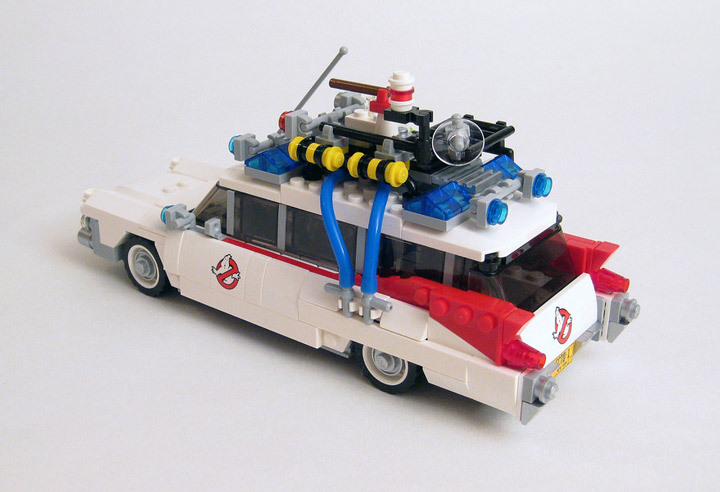 No odd changes here, like there was in the Lego Back to the Future DeLorean. 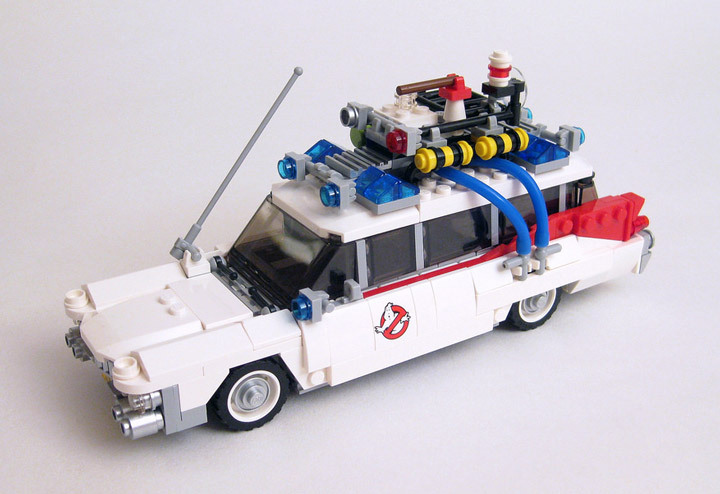 This build is heavily reliant on SNOT (Studs Not On Top) techniques which allow the Ecto-1 to keep a sleek appearance. 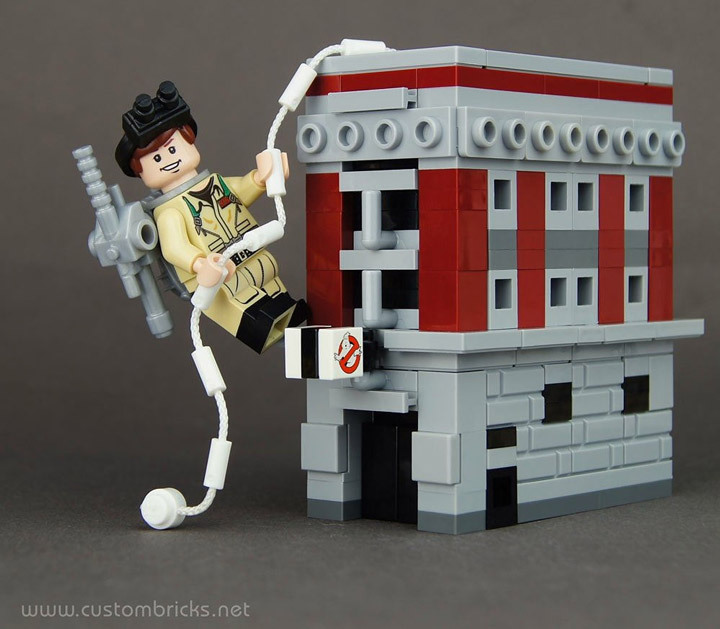 A great accomplishment for Lego. 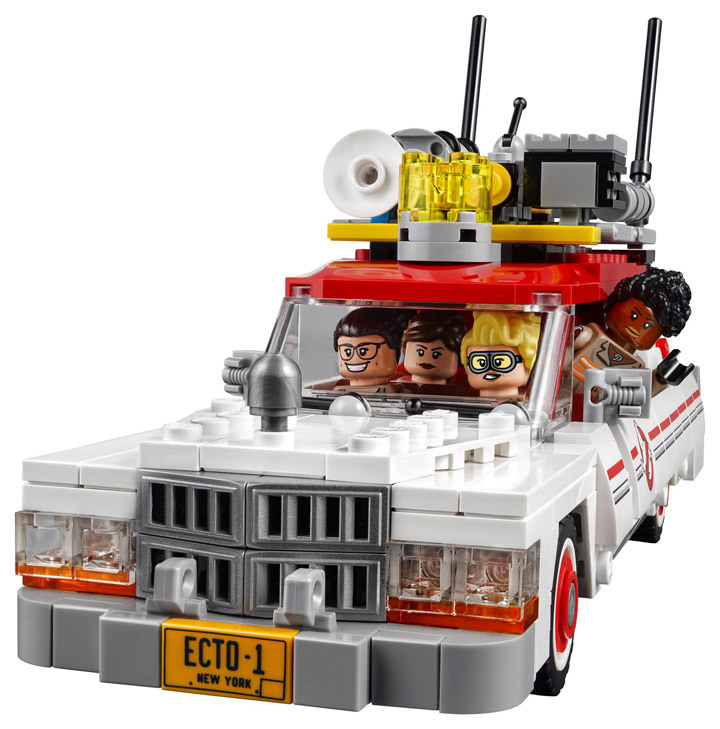 The Ecto-1 is able to hold 3 of the 4 Ghostbusters comfortably, and can probably hold all 4 with some modifications. 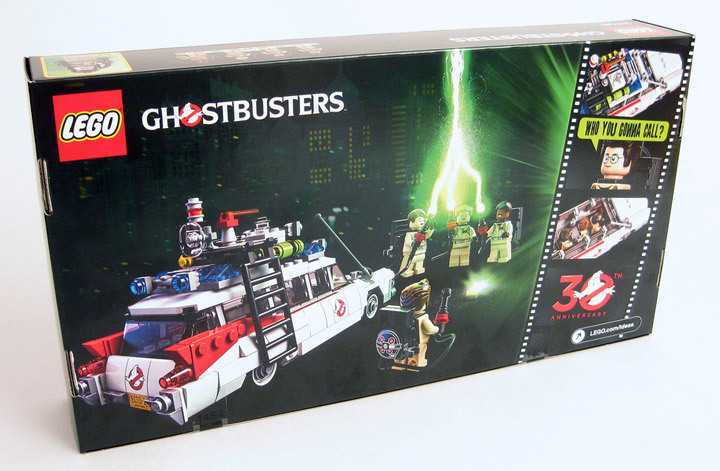 The Lego Ghostbusters set is packaged like the previous Lego CUUSOO and Architecture sets. With a high quality box that opens up from the top. It also contains a perfect-bound softcover booklet style instruction manual. 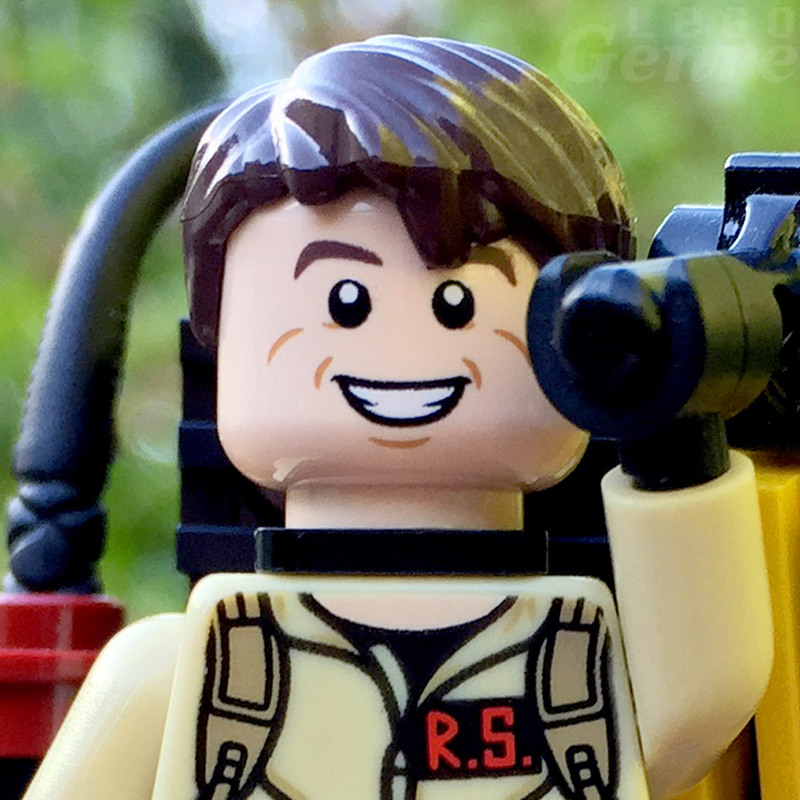 Filled with Ghostbusters quotes, trivia, and history. 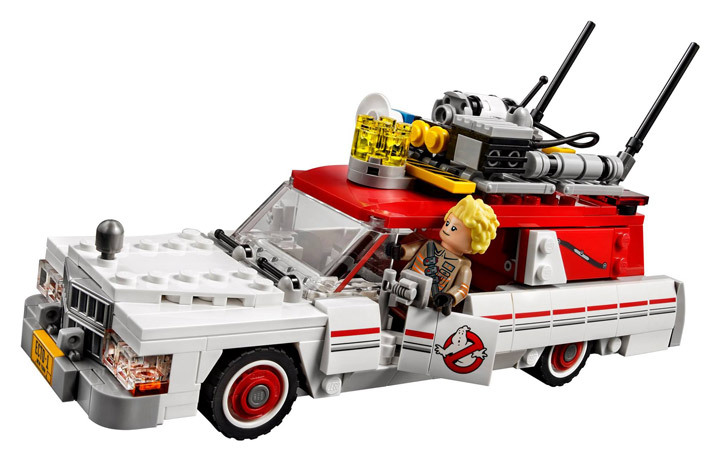 Coming in at over 100 pages, these instruction manuals are a huge feature for these sets. 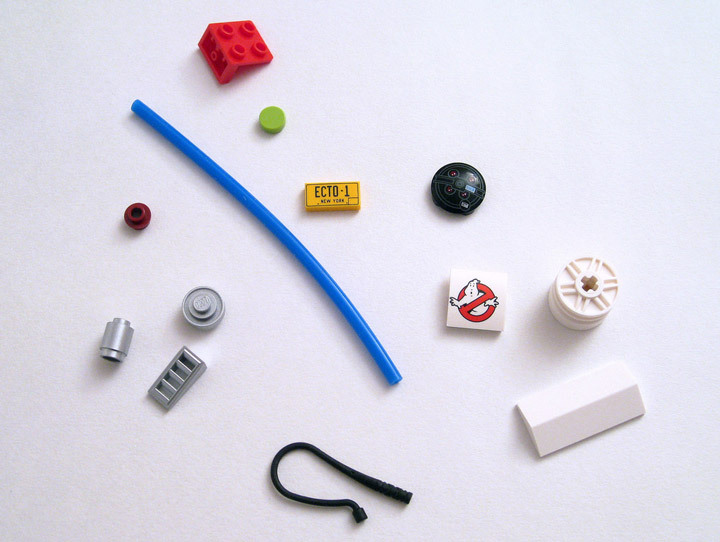 It is also notable that this set comes with a few rare pieces, and even some exclusive pieces. The best inclusion is all of the printed parts. There are no stickers in this set. 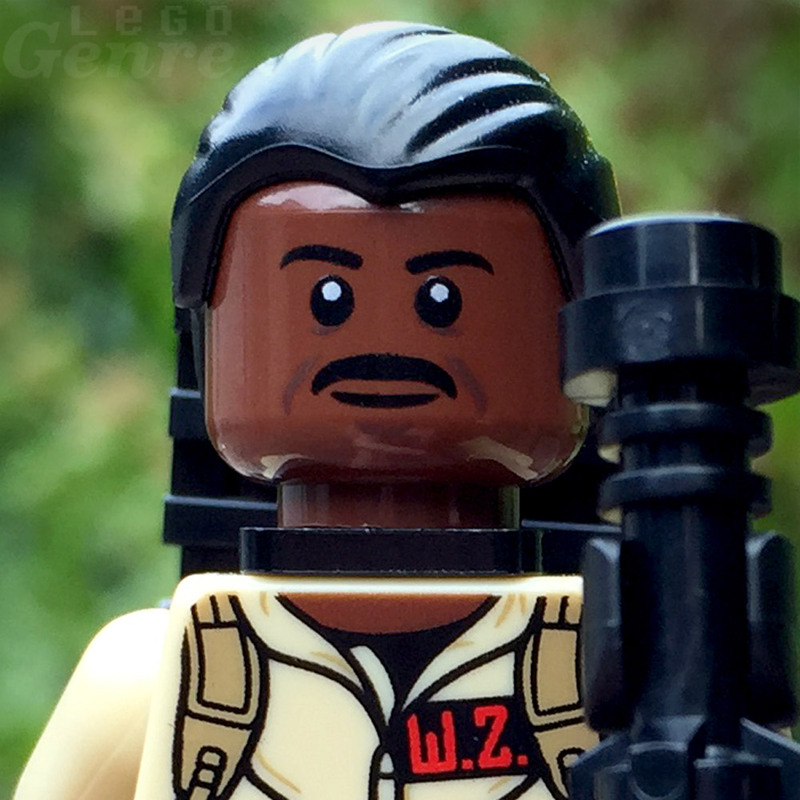 The Minifigures are all recognizable. 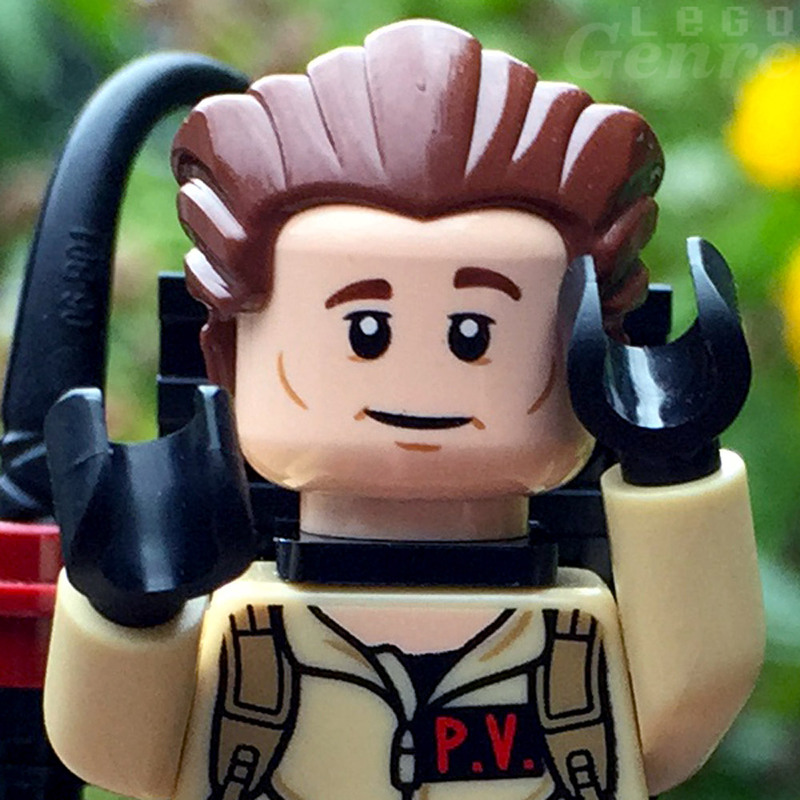 Lego changed Peter Venkman’s hair cut for the official release. 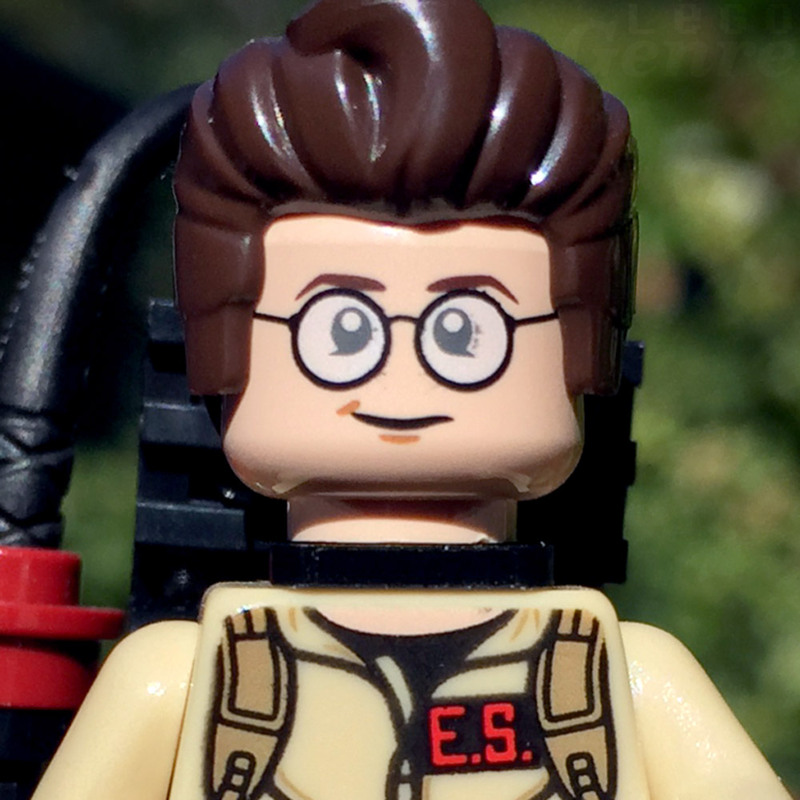 Egon Spengler, Peter Venkman, Ray Stantz and Winston Zeddemore all feature exclusive printed torsos and unique heads. 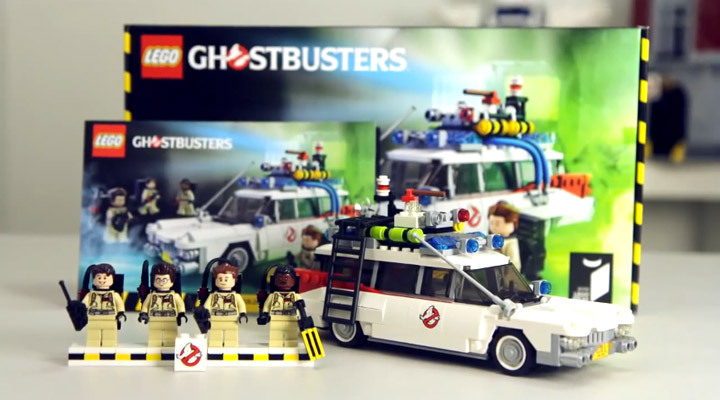 The end result is an extremely cute set of Ghostbusters.